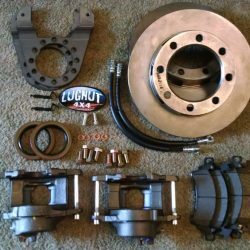 Upgrade the brakes on your full float 14 bolt axle with slide-on style drums with our disc brake conversion kit! NOTE: 16″ or larger wheels are required with this kit. 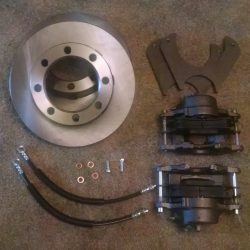 This 14 bolt axle drum brake conversion kit is for full float axles with a slide-on drum. Beginning in 1988, a “slide-on” style of drum was offered on the 14 bolt axle. This was considered an upgrade over the older stud-mounted drum design. However, some vehicles were produced with the older “stud mounted” style of drum after 1988. In fact, both stud mounted and slide-on drums can be found on vehicles as new as 1999. 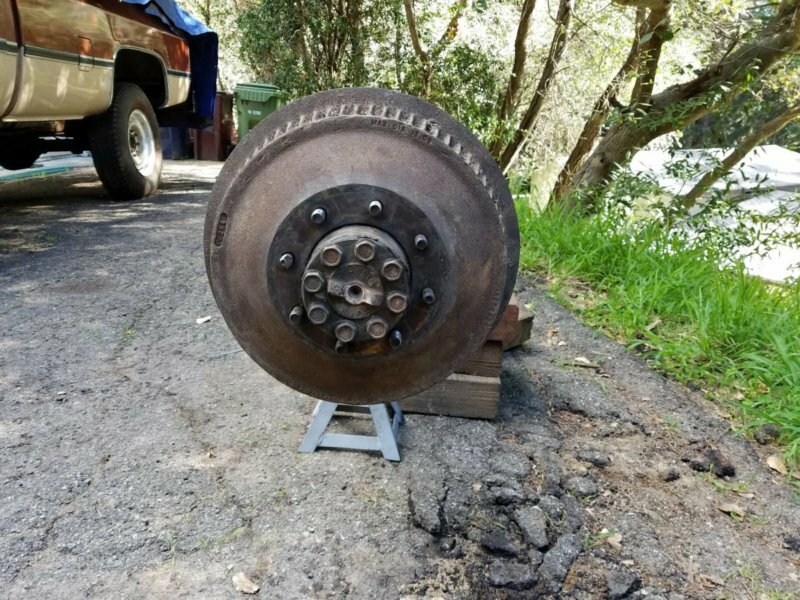 Since both slide-on and stud mounted drums can be found on late 80’s and 90’s model trucks, be sure to check your axles against our identification chart. 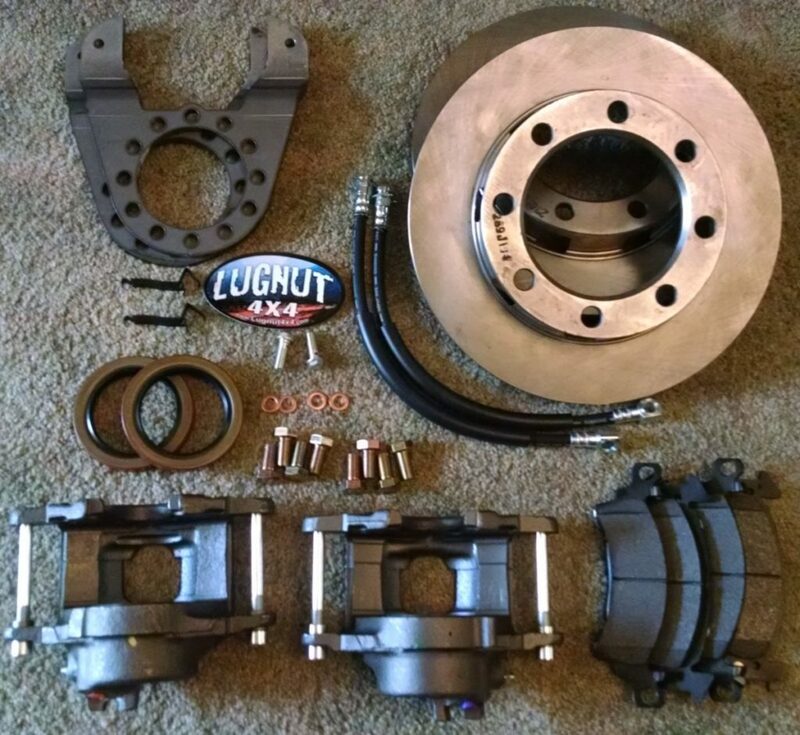 (Also, our kit for stud mounted drum 14 bolt full float axles is here). NOTE: This kit requires 16″ or larger wheels. If you have the gen.2 14bolt axle with slide on drums its a perfect match. 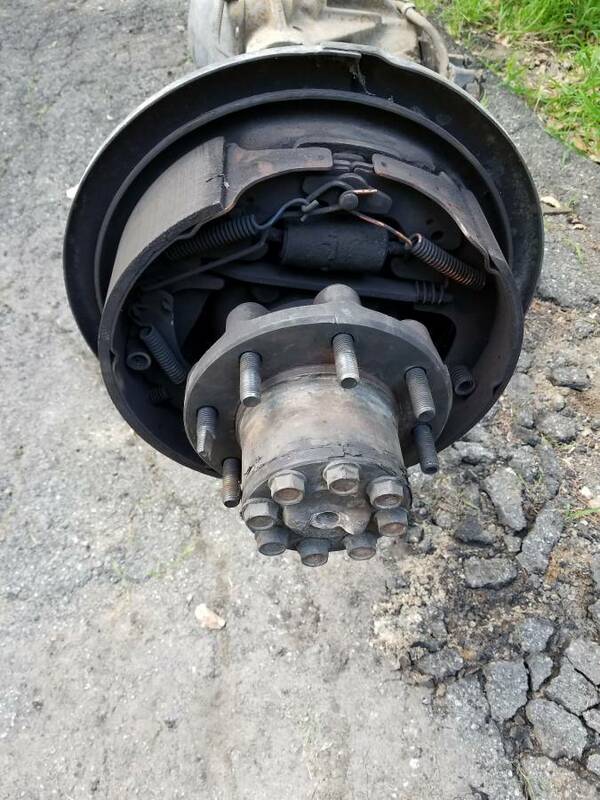 Did the swap on a late 90s 2500 Suburban 4×4 daily driver and I cant be any happier about the fit, the ride, and the stopping power increase. An absolute must! Great product! Great company!